Dr. Sheppard is Professor and Assistant Chair of Environmental and Occupational Health Sciences and Professor of Biostatistics. Her current research portfolio includes several studies of air pollution exposures and their neurotoxicant effects. She has a Ph.D. in biostatistics. 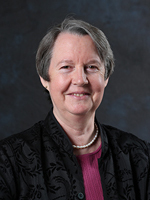 Her methodologic interests center on observational study methods, exposure modeling, and epidemiology, and; her applied research focuses on the the health effects of occupational and environmental exposures. She is principal investigator of a NIH-funded training grant called Biostatistics, Epidemiologic & Bioinformatics Training in Environmental Health and SURE-EH, a project to promote diversity in the environmental health sciences. She leads the biostatistical cores for several projects and collaborates with DEOHS faculty on air pollution cohort studies, identifying the effects of multipollutant exposures, and studying manganese exposures. She is a member of the Epidemiology editorial board, the Health Effects Institute Review Committee, the EPA Clean Air Scientific Advisory Committee , and has served on the several EPA Scientific Advisory Panels, most recently for the Carcinogenic Potential of Glyphosate. Board Chemical Assessment Advisory Committees for Ethylene Oxide Review and for Toxicological Review of Libby Amphibole Asbestos. Studies of air pollution exposures and their effects on health. These include MESA Air to assess the effect of long-term exposure to air pollution and the progression of subclinical atherosclerosis, the UW CCAR to study the cardiovascular health effects of near roadway pollution, the "Air pollution, Alzheimer's disease, and the aging brain" study, and several studies to understand the impact of manganese exposure on health. Statistical methods in environmental and occupational epidemiology. In the news: See links here.